Fire tornadoes are one of nature's rarest and most awe-inspiring creations. These unique combinations of fire and wind have amazing destructive potential. Indeed, the most deadly fire in U.S. history was caused by a fire tornado that tore through a helpless community. Perhaps it is best to learn more about what fire tornadoes even are and how they occur, considering the deadly phenomenon is increasing. 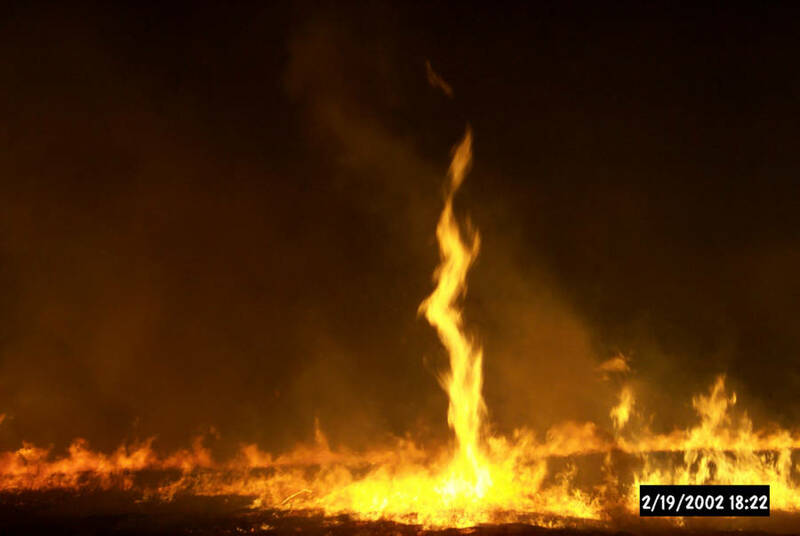 Commonly known as fire whirls or fire devils, fire tornadoes aren't exactly tornadoes in the truest sense. 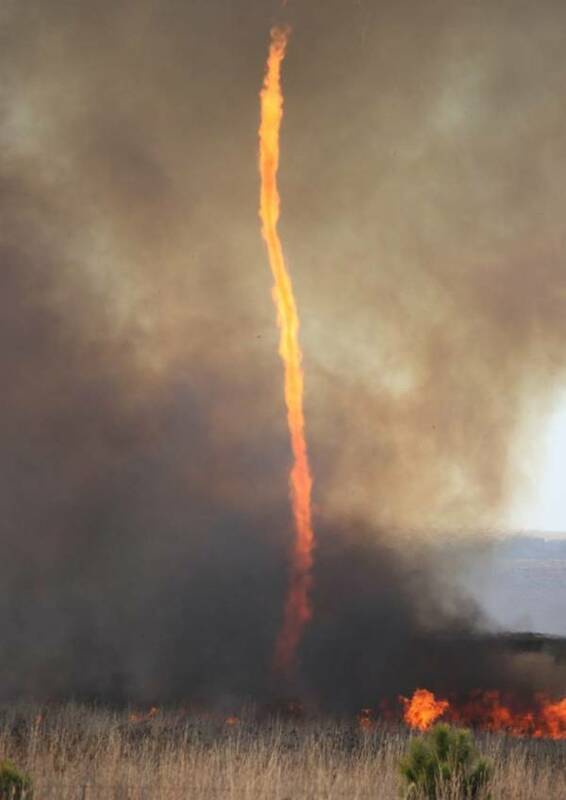 These fiery twisters don’t simply appear out thin air as they require a unique combination of meteorological conditions and a nearby wildfire. According to Popular Mechanics, this newly observed phenomenon has more in common with dust storms than actual tornadoes, though the mere visuals of these whirls and the subsequent devastation they leave behind might have you strongly disagree. The first ingredient of a fire tornado is a wildfire whose spread is already often aided by wind patterns. The second and far rarer ingredient for the phenomenon is a gust of hot air that blows through the wildfire at just the right angle to create spinning momentum. Once this mass of air and fire has gathered enough strength, the fire whirl is born. 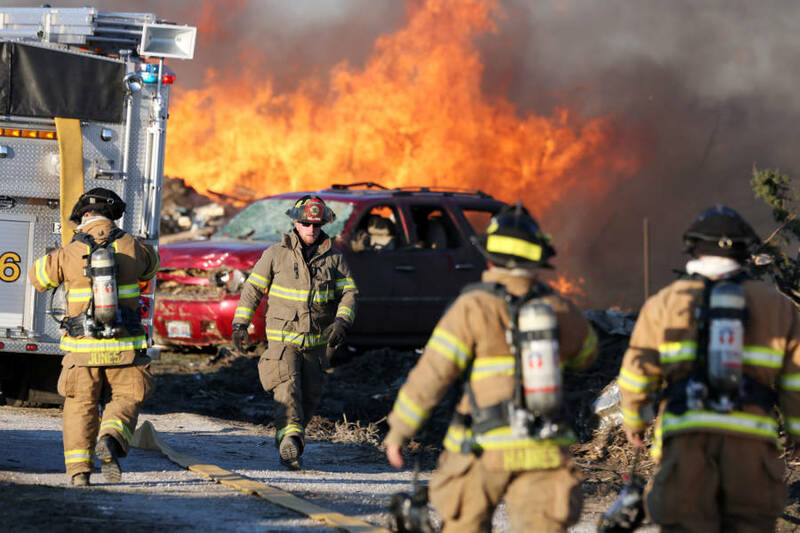 Unlike a regular tornado whose intense speed, force, and momentum can rip houses out of their foundations, lift cars, cows, and semi-trucks into the air with ease, these fire varieties propel flaming debris and glowing embers across the skies. As such, they are arguably even more terrifying to encounter than a mere wildfire or twister. Much of the detail surrounding fire whirls' remains unknown to experts. For example, nobody is quite sure why they have the tendency to reach increasingly higher elevations and burn rates as they twist onward. What experts do know, however, is that fire whirls, fortunately, last only for a few minutes, though they do leave horrific and unforgettable destruction in their wake. A KPIX CBS SF Bay Area news segment on the fatal Carr Fire Tornado of 2018. According to How Stuff Works, fire tornadoes usually satisfy the following criteria: they’re 300 to 400 feet tall, 20 to 50 feet wide, and have temperatures of about 2,000 degrees Fahrenheit. These whirls typically have a wind speed of 100 to 300 mph and travel in any given direction at a speed of five to seven mph. 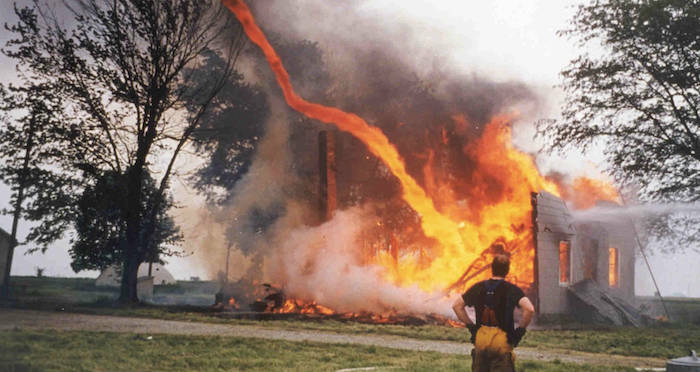 The fire tornado operates as an atmospheric vortex just like any whirlwind, spout, or regular tornado does. It’s an air mass that spins on a horizontal or vertical axis and can either be fairly small or grow into a sizable mesocyclone that operates in the inner core of a storm or wildfire. 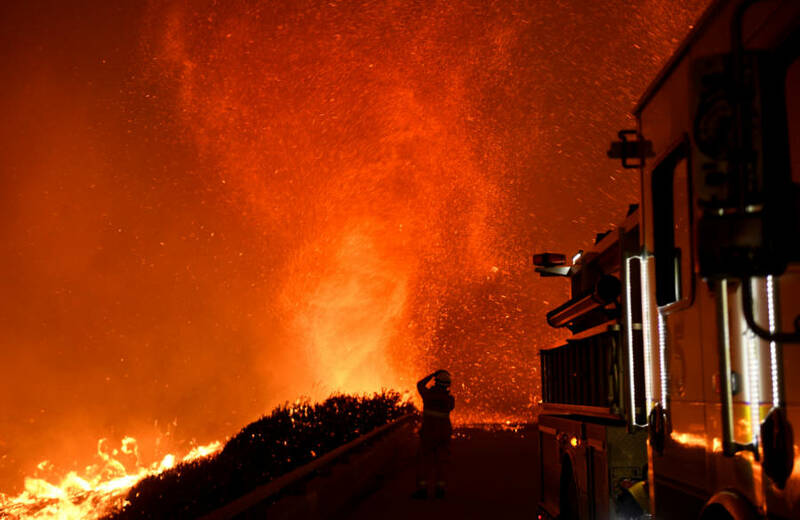 In the case of the deadly 2018 California Carr Fire, the dry wilderness terrain and hot weather combined to form the perfect conditions for a fire tornado. First, the sudden wildfire which burned out of control caused a drastic rise in ground temperatures. 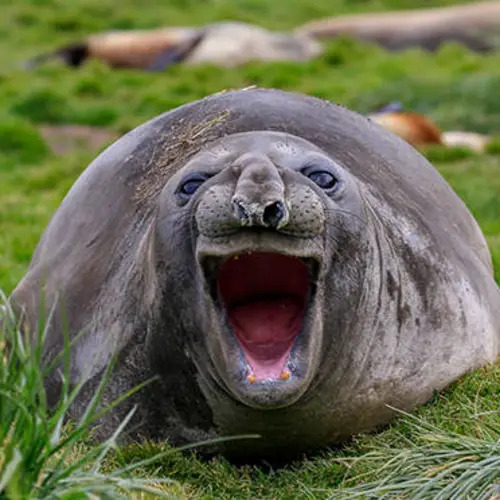 In turn, this rapid increase in temperature made the air above the fire more buoyant and it consequently rose up in what scientists call columns or chimneys. These updrafts are fairly strong and can reach hundreds of feet high. Although they are typically invisible to the naked eye, they become apparent when they pick up sand or dust. When they pick up and pull burning shrubbery, embers, or other burning objects such as tree trunks into their spinning columns — they not only become visible but immediately apparent as fire tornadoes. One of the more recent and particularly troubling examples of this phenomenon was the California Carr Fire of 2018. 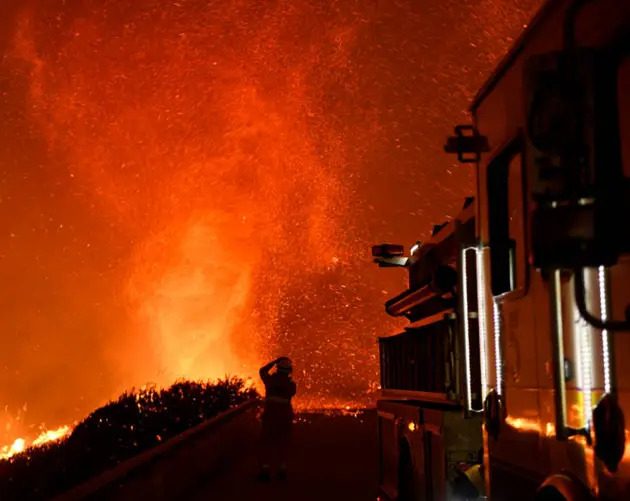 The seemingly untenable California wildfire epidemic saw a fire tornado so unpredictable that it lasted an hour and a half which, by all accounts, does not happen often. 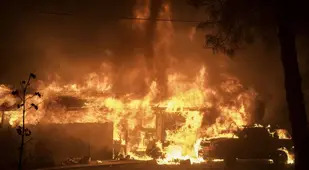 The Carr Fire situation became especially hairy when the fire tornado reached Redding, a city of 90,000 people, with winds "in excess of 143 mph" as reported by the National Weather Service. The whirl was so strong that its ranking on the Enhanced Fujita (EF), a scale that measures the intensity of tornadoes, reached class three — out of five. Wikimedia CommonsA photograph of a fire tornado, captured by the US Fish and Wildlife Service in 2006. 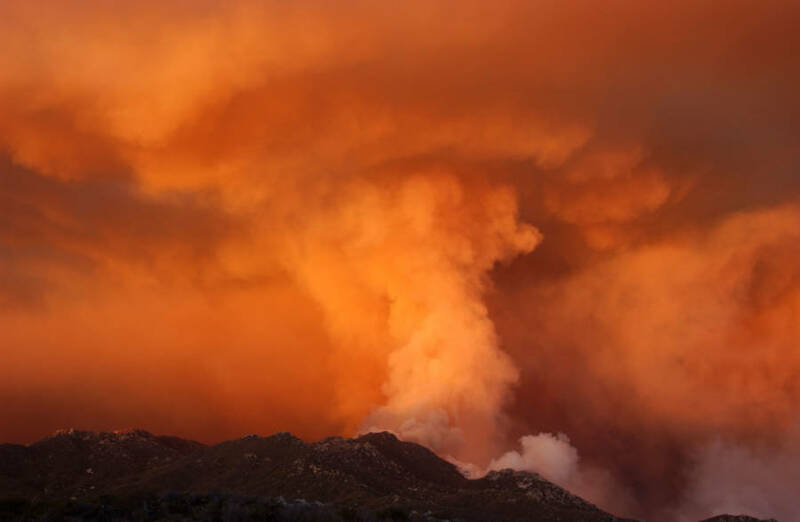 "You’re starting with a rare event to begin with, and for it to actually impact a populated area makes it even rarer," said Neil Lareau of the University of Nevada. Lareau studied this particular fire devil via radar as it traveled across the state. He estimated that it grew to 500 yards before shrinking back down and vanishing into the storm’s chaotic wind patterns. The Carr fire whirl had tragic results, including the deaths of 70-year-old Melody Bledsoe and her great-grandchildren, four-year-old Emily and five-year-old James. 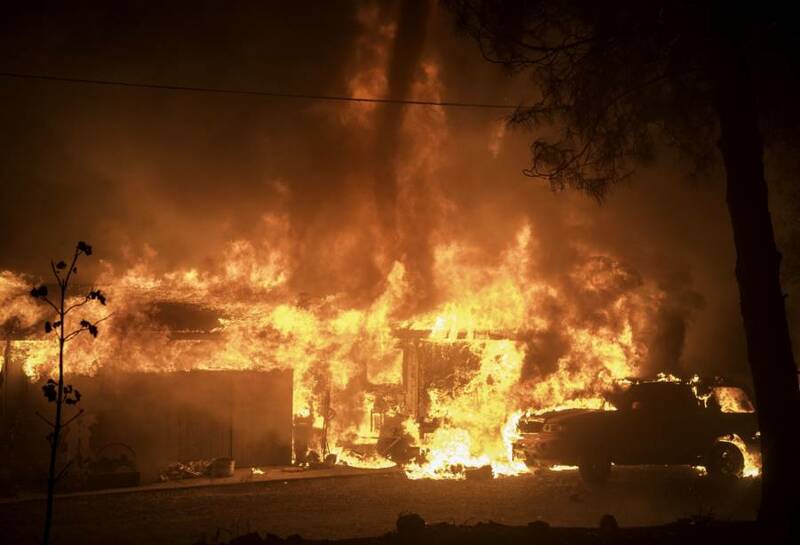 The 2018 Carr Fire was California’s sixth-worst fire in recorded history and the fire tornado certainly contributed to that. Unfortunately, these fire whirls are only compounded by our ever-increasing crisis of man-made climate change. Besides the Carr Fire tornado, history has several more notable examples of devastating fire devils. 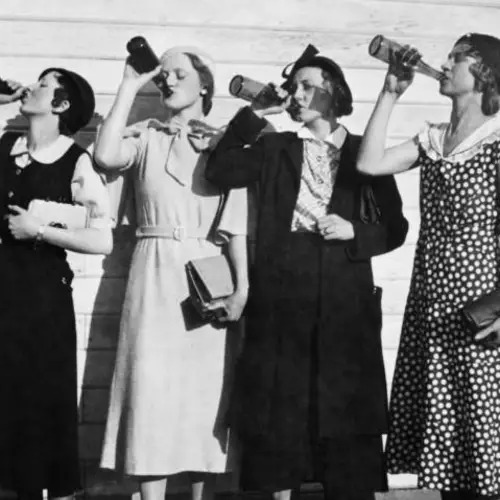 Some of the most notable whirls, for instance, occurred in San Luis Obispo, California on April 7, 1926. In this case, several fire whirls developed when lightning struck the Union Oil Company storage facility killing two people and creating a five-day firestorm. Numerous fire tornadoes resulted from the initial incident with some of the whirls carrying burning debris five miles away from the original site. Meanwhile, the Great Peshtigo Fire of Oct. 8, 1871, started on the same day as the infamous Chicago fire and still stands as the worst U.S. fire disaster in history. With a dry summer and slash-and-burn farming practices, the blaze arose easily and spread across prairies and lumberyards. 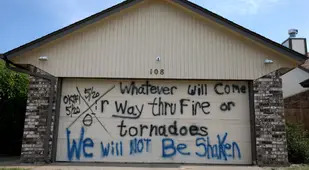 Wikimedia CommonsA fairly narrow fire tornado, 2016. Within minutes, an enormous fire tornado traversed the town of Peshtigo, Wisconsin, generating 100-mph winds, temperatures of 700 degrees Fahrenheit, and killing an estimated 2,000 people. The Great Japan Earthquake of 1923 had even more horrifying results and left 45,000 dead from the resultant fire tornado. 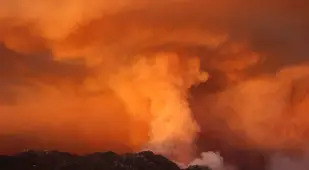 Another prominent example comes from Canberra, Australia, where an intense 2003 wildfire merged with a supercell thunderstorm and forged a gigantic fire tornado. It was so powerful that the tornado reached an EF3 rating on the Fujita scale and killed four people and injured 492. 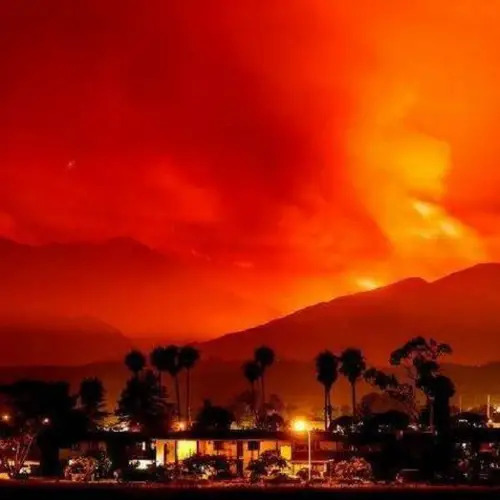 Although fire devils have been an infrequent phenomenon in the grand scheme of history, climate change is rapidly changing that. 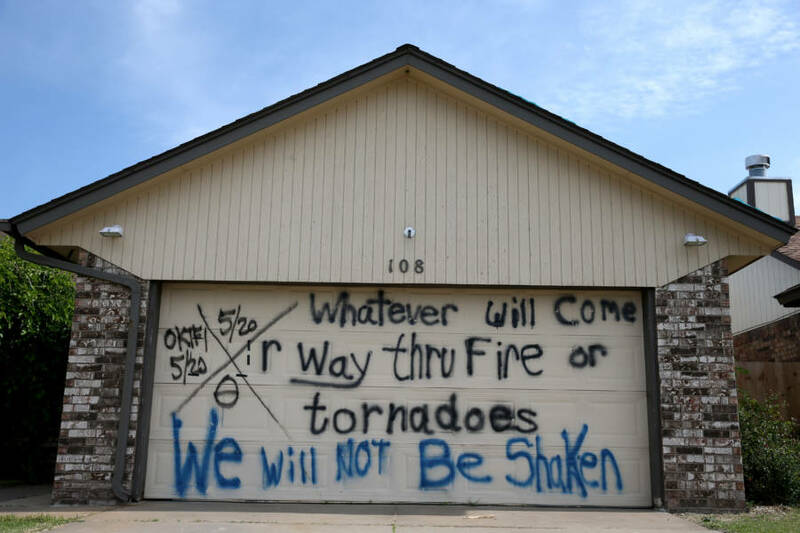 With higher temperatures affecting the planet every year, both wildfires and extreme meteorological conditions are becoming more common and devastating — in turn, increasing the likelihood of these hellish fire tornadoes. After marveling at these photos of terrifying fire tornadoes, take a look at the mesmerizing blue fire of the Kawah Ijen Volcano. Then, learn about Greek Fire — one of history's best-kept military secrets.